The golf hotel is situated within a 18 hole golf course with the island which is the natural habitat for deer, pheasants, hares, herons, marsh harriers and little egrets. The Po Delta Regional Park was created in 1997 with the aim of protecting, recovering, promoting and preserving the natural, historical and cultural character of the territory. The authority also promotes businesses that are compatible with the surrounding environment and that contribute to improving quality of life in the local communities. Close contact with nature, with wild animals, tranquillity and silence are the essential ingredients for a peaceful and relaxing holiday on the island of Albarella. 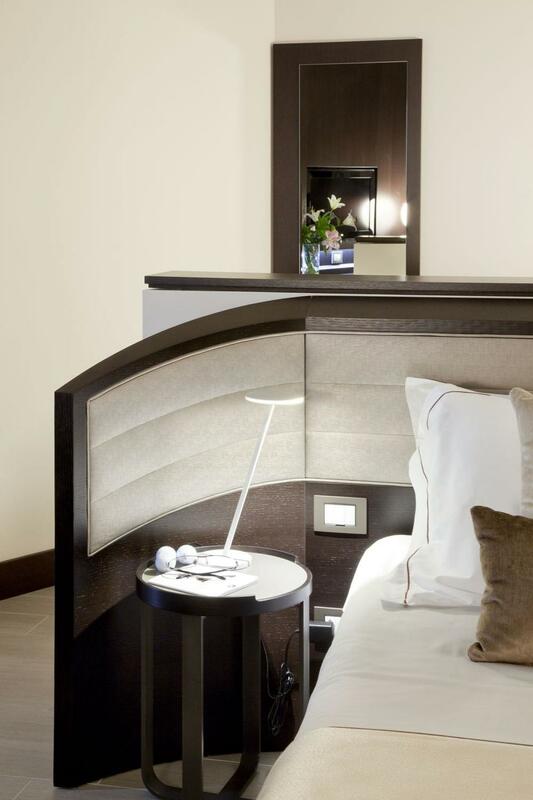 The hotel consists of 21 suites of varying sizes all have been refurbished to a 4* rating with new furnishings by Poliform throughout, all furniture was custom designed by THDP for the hotel.